'Tantra', an esoteric and complex branch of Hinduism, might be explained in simple terms as a path towards spiritual perfection and magical power. 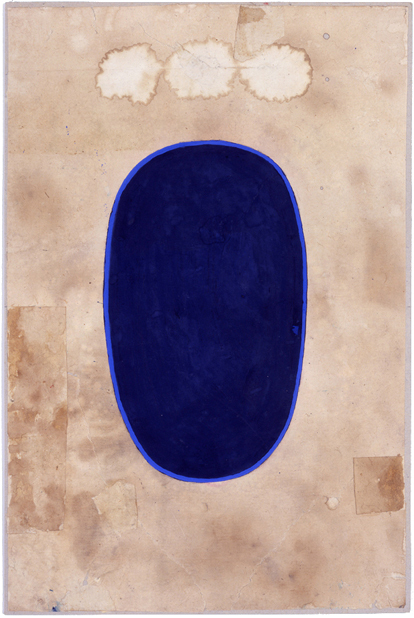 These rare Tantric images by anonymous modern painters from Rajasthan in northwestern India were intended to further the practice of meditation; they are part of an unbroken tradition in which originality is not considered important. Nevertheless, as in many forms of traditional art and craft, there are subtle and beautiful differences between the touch and sensibility of the individual paintings. Although the exhibition includes a few examples of other imagery from the Tantric canon, most of the paintings depict 'Shiva linga'. The Sanskrit word 'lingam', originally meaning 'mark' or 'sign', often refers to the phallus or symbol of male creative energy that is complementary to the 'yoni', which means both 'source' and 'female'. The term 'Shiva lingam', however, describes one of the forms of Shiva, the Hindu god of destruction and transformation and one of the trinity of deities that also includes Brahma and Vishnu. It shows him in his unborn and invisible state. 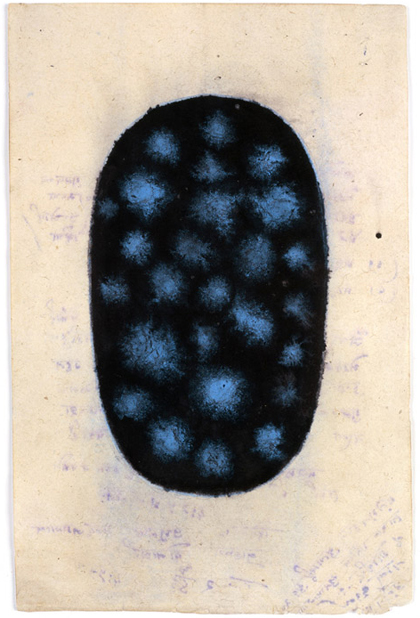 Unlike sculptural 'Shiva linga', which are commonly phallic in shape, the linga in these paintings are ovoid and accrue some of the symbolic associations of the 'egg-shaped cosmos', a concept that can be traced back to ancient Sanskrit scriptures such as the Brahmanda Purana. (The idea of the 'hiranyagarbha', the 'golden womb' or 'golden egg' that symbolizes the birth of the cosmos and the source of all energy, is another point of comparison). Each painting, an image of liminal space, depicts creation and dissolution. Shiva, above all, is responsible for change. He causes both death and destruction and, more benignly, the elimination of the ego and false identification with form. The Douglas Hyde Gallery gratefully acknowledges the assistance of Hudson, at Feature Inc., New York, from whom the paintings have been borrowed. A book, published by Feature Inc., accompanies the exhibition.